With a comprehensive range of skip sizes and collection frequencies, RiverRidge can assist any size project with their waste management requirements. From household clearances to multi-site construction projects the company has a huge stock of skips and roll-ons along with a large fleet of vehicles to accommodate any collection frequency. Midi skips are a popular choice, especially in domestic use. They are useful for small domestic refurbishments, as well as storage for small yard and garden clear ups. They are a small convenient size, and can normally take all the waste generated in small DIY jobs. Commonly used by builders on small to medium sized jobs. They are useful for medium domestic refurbishments, as well as storage for medium sized yard and garden clear ups. The most popular of the skips available, the 12-yard skip is ideal for industrial and commercial uses. It is suitable for larger projects, including bulky items and construction materials. When a regular chain skip isn’t large enough, you can choose from a range of even larger Roll-on Roll-off (RoRo) skips, which generally come in sizes ranging from 20 yards to 40 yards. These skips are bigger, and stronger, and are popular with building jobs, as they can take construction and demolition waste, as well as bulky items. Suitable for projects which generate a considerable amount of waste, such as a large garden clearance, bulky waste and complete house renovations. 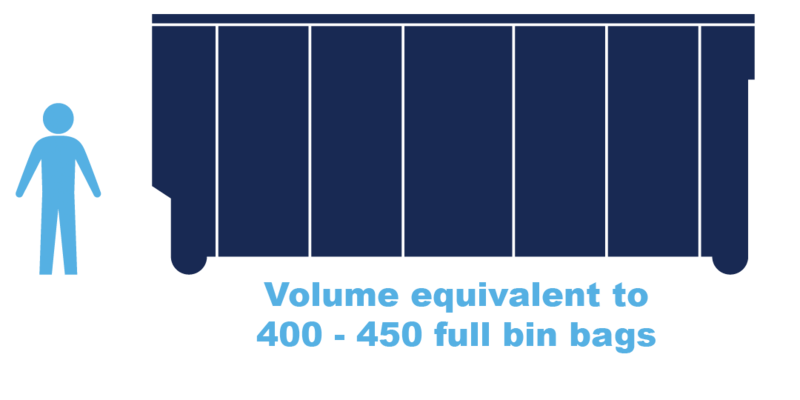 The largest skip size available, roll-on roll-off (RoRo) skips are ideal if there is a considerable amount of waste to be disposed of. These skips can be used in both commercial and domestic sites for the removal of mixed waste, bulky waste, as well as a diverse ability to handle other waste streams including metal, timber, larger household goods, and if needed, heavy garden and construction waste. 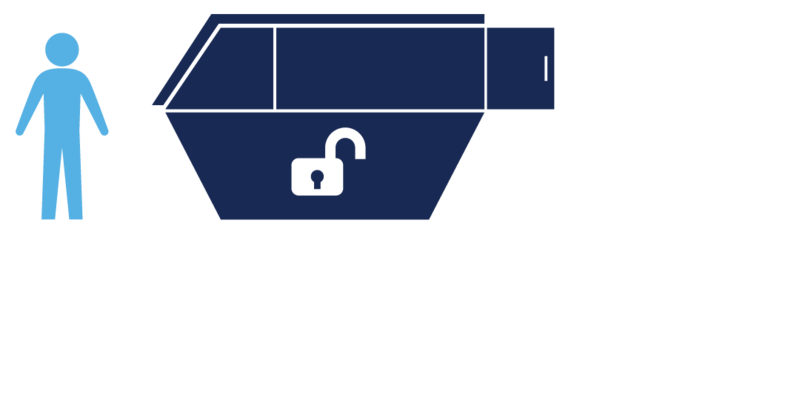 For a bit of extra security, and to prevent and deter fly tipping / unauthorised use a lockable skip is also available. 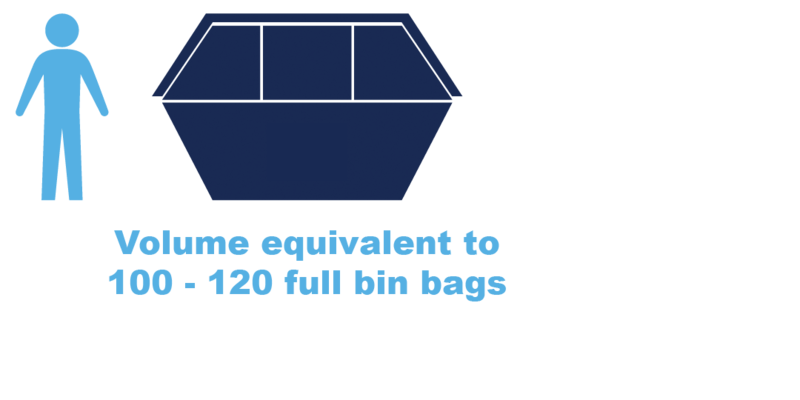 With a range of different sizes and configurations, there are many uses for lockable skips, from food waste right up to Commercial and Domestic use. For waste management in any working environment. Portable Compactors were traditionally used for commercial / general waste which is sent to landfill. Nowadays, where recycling is the preferred option, they are increasingly used for recyclable materials such as plastics and cardboard. RiverRidge will accept compacted cardboard as readily as baled card. Once full (indicated by a full or three-quarters-full warning light) the Portable Compactor is simply collected, taken away to be emptied, and returned to site. Portable Compactors are available in chain lift, otherwise known as ‘skip lift’ compactors, or roll-on/roll-off formats (hook lift). The smaller machines are usually supplied as chain lift and can be easily transported by skip lift vehicles. Roll-on/roll-off compactors are picked up using hook lift vehicles, and are typically larger machines and require suitably equipped trucks for transporting. 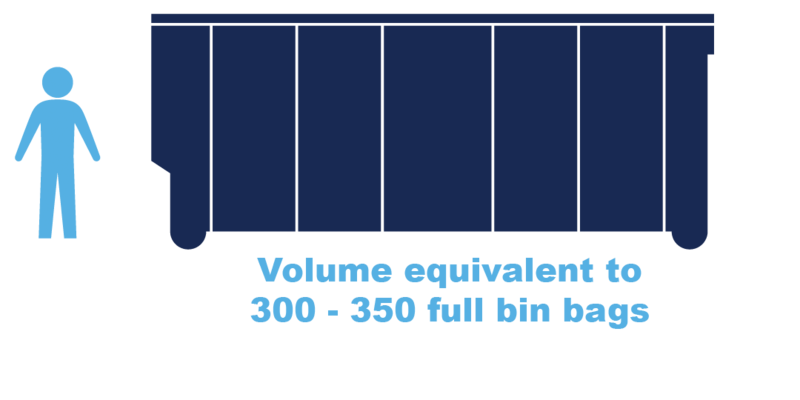 Compactors are ideal for large volume recycling and waste producers where space is limited, and tidy sites are essential for busy well managed companies. RiverRidge can supply a range of sizes and container types, but typically with 18, 30, 35 and 40 yard capacity. 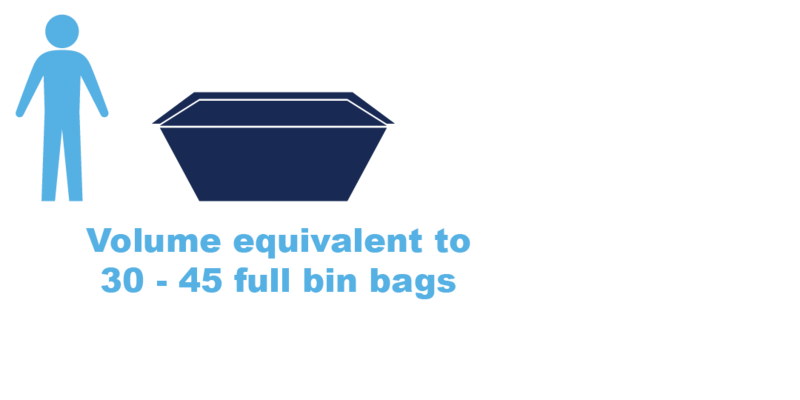 For organisations producing larger volumes of recyclables, we can reduce the number of collections required by using compaction and baling equipment. 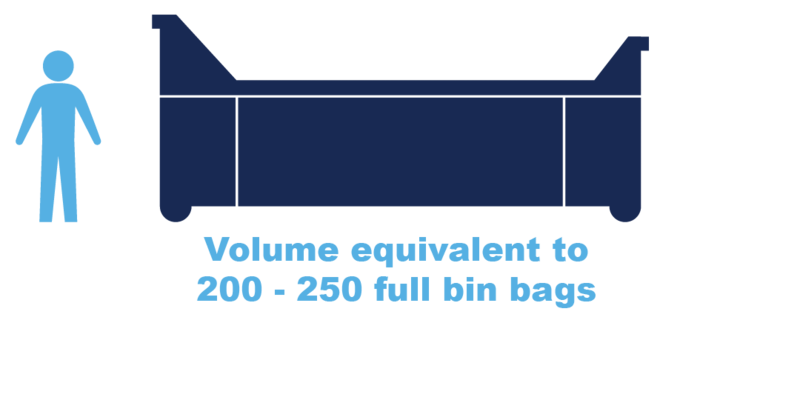 This achieves maximum capacity payloads for every container, significantly reducing unnecessary journeys, reducing fuel consumption and, as a result, reducing the customers carbon foot print & enhancing their environmental performance. Compactors are suitable for Commercial / General Waste, mixed recyclables and, if suitable, food waste producers such as hotels and restaurants. 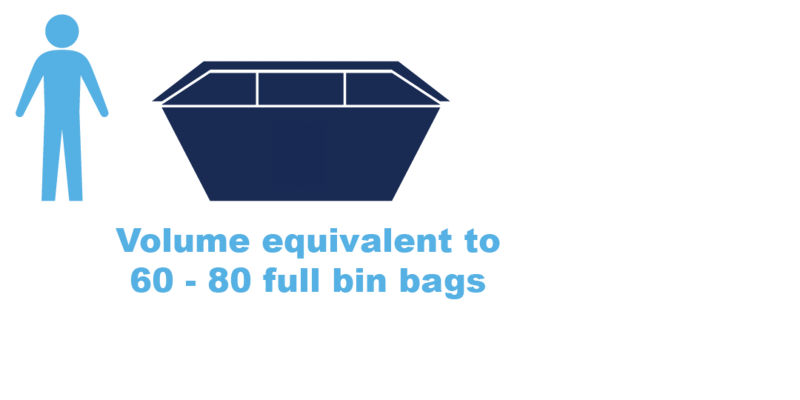 Waste can be reduced by a significant ratio of its original volume, depending on the material being compacted, which also means you need less storage space on site. Recycling compaction can improve hygiene, increase security and reduce fire risk, significantly contribute to health and safety on site by reducing the amount of loose waste residue sometimes found on busy commercial sites. NB: Sizes may vary depending on manufacturer. Contact our Customer Support Team today on 028 7086 8844 or email us your enquiry to info@riverridge.co.uk – it’s only waste if you waste it! The UK Construction Industry produces three times more waste than all UK households combined!